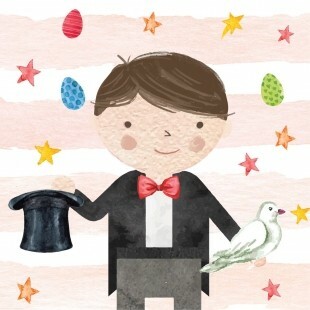 Discover the Easter Magic with Nickleby the Magician. Pull the Easter Bunny out of a hat or perhaps make a basket of Easter eggs disappear! Learn the secrets behind the magic this Easter at Wynnum Plaza. Trained by his father, Nickleby is an award winning magician who has been entertaining the world for 15 years. Now he is heading to the Plaza to help teach Wynnums budding magicians! Bookings are required, please email wynnummarketing@wynnumretail.com or call 07 3396 0000. Keep up to date with all the news and events at Wynnum Plaza and follow us on Facebook and Instagram. Workshops are recommened for ages 3 to 12 years old age. Please do not leave your children unattended.